SAANAA, April 13 (YPA) – Dozens of militias backed by Saudi-led coalition were killed and wounded in various attacks carried out by the Yemeni army over the past 24 hours, the military official said on Saturday. The army killed and wounded 21 militias, including three Saudi soldiers, in sniping operations in two border provinces of Jizan and Najran. In Najran, the army waged an offensive against sites of the militias in Rashah and Morash, killing and wounded several of the militias. In Jizan, the army foiled an assault carried out by the militias towards sites of al-Dokhan area, killing and injuring a number of the militias. In Asir province, the missile unit of the army fired a Zilazl 1 missile at military groups in al-Rabuah area, leaving heavy losses. The army launched an offensive against sites of the militias in Alb crossing, killing several of the militias and wounded others, as well as bombing three military vehicles in Asir. In Jawf governorate, a number of the militias were killed and injured in the army’s attack on sites in al-Ghail area. In Dhalea province, a militias’ tank was destroyed in a guided missile launched by the army in Morais district. 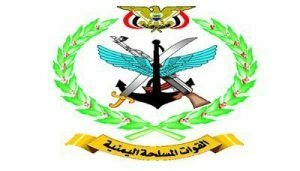 In Marib governorate, a commander loyal to coalition was killed by the army in Nehm area. In Hajjah province, the army hit the militias in attack on sites in Hairan area, inflicting heavy casualties.